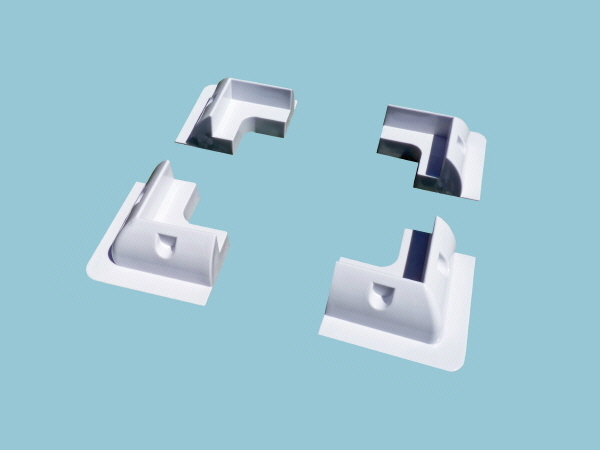 Sunshine Solar panel mounts are an ideal way to fix your solar panels on the roof or deck of caravans, motor homes and boats. The mounts can be safely bonded to the surface removing the need to drill holes. This set of four universal solar panel corner mounts can be used with any aluminium framed solar panel and have a lateral length of 150mm. The mounts act as a wind deflector and maintain the correct air gap between the solar panel and the roof top / deck. The plastic mounts profiles provide a high quality mounting solution creating the ideal combination of functionality and appearance. Important note: When calculating the space required to fit a solar panel with these plastic mounts you will need to add 120mm to both the width and length of the solar panel dimensions. Example: Solar Panel dimensions = 1000mm x 500mm - minimum flat area needed = 1120mm x 620mm.